Rev. 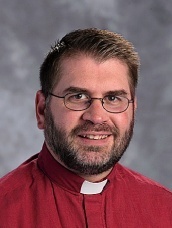 Aaron Witt serves as the Pastor at Christ Lutheran Church and School. Pastor Witt celebrated his 18th year in the ministry at the beginning of July 2018. His first Call as a pastor was the dual parish of St. Peter’s Lutheran Church in Wymore, Nebraska and First Lutheran Church in Summerfield Kansas where he served for nearly three years. Starting in 2003, Pastor Witt served for 6 ½ years at Zion Lutheran Church in McHenry, Illinois. In February of 2010, Pastor Witt returned to Nebraska, as he was installed as pastor of Christ Lutheran Church. Pastor Witt enjoys spending time with his family, camping, working on vehicles of all sorts, and cheering on the Nebraska Cornhuskers. 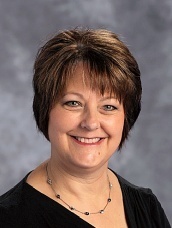 Mrs. Kathy Petersen serves as Head Teacher and as the Grades 3-4-5 Classroom Teacher. 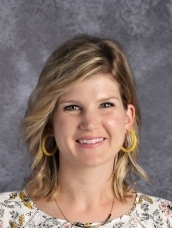 Mrs. Petersen graduated from UNL with her teaching degree in elementary and special education and later returned to Concordia University in Seward, Nebraska, where she graduated from the Colloquy Program. 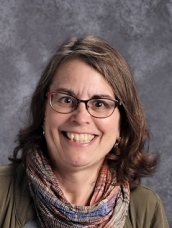 Mrs. Petersen is in her 29th year of teaching at Christ Lutheran School. 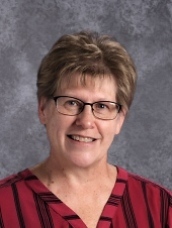 In her spare time, Mrs. Petersen enjoys getting together with her family, camping, watching sporting events, and traveling. Miss Rudolph serves Christ Lutheran School as the K-1-2 Classroom Teacher. This is Miss Rudolph’s first year teaching at Christ Lutheran. 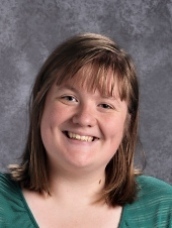 She graduated from Concordia University, St. Paul in 2018 with a degree in Early Childhood Education and a minor in Lutheran Theology. She is originally from Elk River, Minnesota. In her spare time, Miss Rudolph enjoys cooking and baking, reading and writing, gardening, and being outside. She is also a casual fan of the Minnesota Twins, and Minnesota United FC, Minnesota’s soccer team. 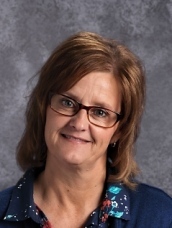 Mrs. Richards serves Christ Lutheran School as 6-7-8 Classroom Teacher. Mrs. Richards has been teaching for eight years. Prior to teaching at Christ Lutheran, she taught at St. Michael's Catholic School in Albion. 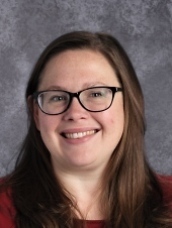 She graduated from Concordia University, Seward with a degree in Middle Level Education in 2010 and received her Master's degree in Literacy and ESL in 2013. She currently lives in Columbus with her husband, Ross; son, Jack; daughter, Teagen; and their two "four-legged kids," A.J. and Mattie. She has two younger sisters, Bobbi and Mikayla. Too keep busy, Mrs. Richards coaches freshmen volleyball at Lakeview High School and takes pictures. She loves to read, write, be outside, run, and play with her pups, and also enjoys playing volleyball. 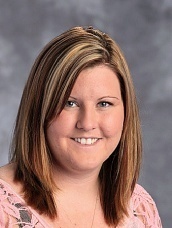 Mrs. Splittgerber serves our School as Preschool Teacher, Music Teacher, and directs the Children's Choirs. Mrs. Dammann serves our School as Preschool Teacher. Karla is the Administrative Assistant for Christ Lutheran Church and School. Karla has served Christ Lutheran Church and School for 19 years. She graduated from Concordia University in Seward, Nebraska in 1986. Karla serves as one of our organists. She also accompanies the Adult and Children's choirs. In her spare time, Karla enjoys playing the piano, reading, and spending time with her family. Jill serves our congregation by directing our Adult Choir. Colleen was born and raised in Columbus, NE. She attended St. Bon's and Scotus. Colleen graduated from Peru State College with an education degree. She taught for 23 years at St. Isidore Grade School. Colleen is married to Kerry Belitz and they have one daughter, Emerson who is attending UNL. Colleen's hobbies include singing, listening to music, crafting, yard work, and watching movies. Colleen is an avid Husker Volleyball and Football fan! Crystal serves our congregation by directing our After School Program.